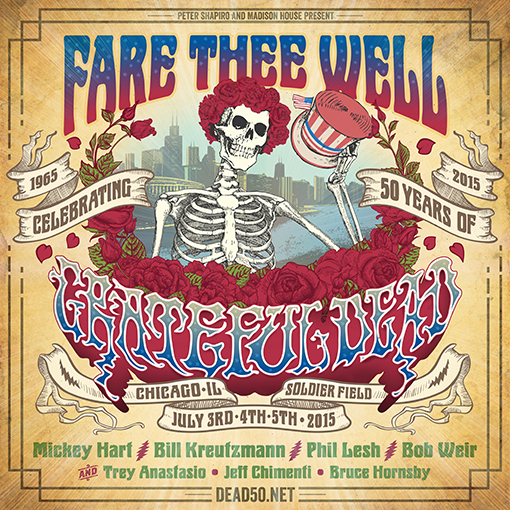 Phil Lesh | Do You Hear The Music? 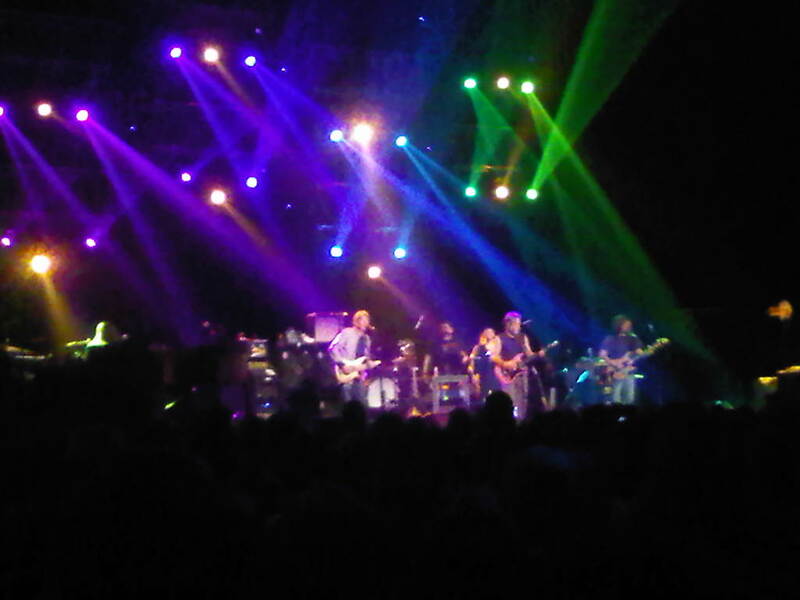 Any chance to see Bob Weir and Phil Lesh is a special treat and with Furthur rolling into Las Vegas, I was excited like a kid in a candy store. However the evening didn’t start off nearly as planned as it took no joke, 50 minutes to get into The Joint as the ticket/security line was not moving. After missing the first three songs (which included “China Cat Sunflower“and “Maggie’s Farm”) of set one, I made it inside. As expected, a festive crowd on hand and it was all song and dance for the next three hours. Highlights of the first set for me had to have been hearing “Welcome to the Dance” for the first time live and “Like A Rolling Stone” and “Casey Jones” back-to-back. 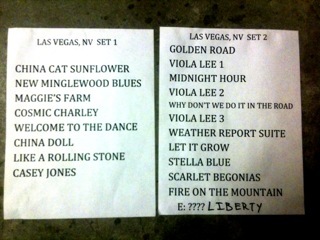 Second set, easily “Viola Lee Blues”>”Midnight Hour”>”Viola Lee Blues”>”Why Don’t We Do It In The Road?”>”Viola Lee Blues” and a little later in the set “Scarlet Begonias”>”Fire On The Mountain” which was just icing on the cake for a great evening. I just hope I don’t have to wait another year to see the guys again. Here is the official set list as well as fantastic images from good friend, Erik Kabik of Erik Kabik Photography. Last night I had the opportunity to catch Furthur at The Joint at the Hard Rock Hotel in Las Vegas and what a show it was. Sure the guys are showing their age (and not just by using teleprompters) but they can still jam and put on one heck of a performance. Opening with “Feel Like A Stranger” and hearing “Brown Eyed Women” were my highlights of the first set while the second set was just amazing. Hard to pick just a couple favorites but “St. Stephen” and a cover of Pink Floyd’s “Time” rise to the top for me. Gone are the days of bands making an evening out of a concert and performing two sets so every time it happens I relish those shows and wish it was a staple of every show. It was a packed house and a great evening for jamming mixed in with a Bill Walton sighting and man how much John Kadlecik sounds like Jerry.